If you don't already know, Cheras Leisure Mall had gone through some 'face-changing' phase and now there's no more arcade center, but new shops that just opened their branches at the newly refurbished area. 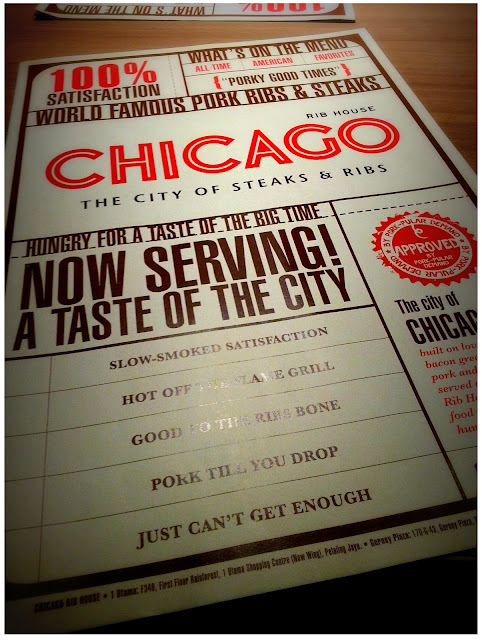 I'm quite happy that Chicago is one of the shop that's gonna open there and I really can't wait to try out their steaks. The first time I went, it's closed for invited guests only so we decided to drop by the next day and be among the first batch of customers that dine there. But it turned out not really a pleasure dining experience. 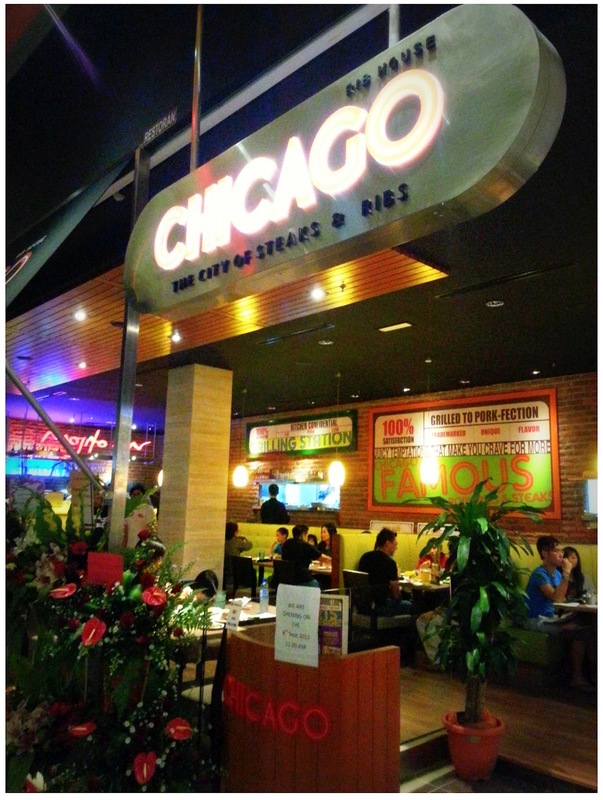 American-ish name and menu, like Chilis and TGIF, I was thinking: What can go wrong, right? Price wise are on par with the previous two as well, oh my I'm gonna get my steak-fixed tonight! Lots of pork/pig facts in the menu, interesting. While the manager-alike woman hand over menu to us, she said: tooday ve no surf crusty crab but cat. I was like WHAT!?????? What did I just listened!!! LOL. But still nods after she said so and then turn to le bf and ask, what she say? I heard she say something about crab. Le bf told me he heard something bout softshell crab. Hahahahahahaha WTF!!!! Then it turns out: Today we no receive credit card but cash. Hahahahha really laugh die me. They have my side dish WRONG!!! I wanted fresh vegetables and mashed potatoes, coleslaw and baked potato are le bf's, but here, with my medium cooked steak, I have coleslaw and fresh vege. Where's my mash potatoes. 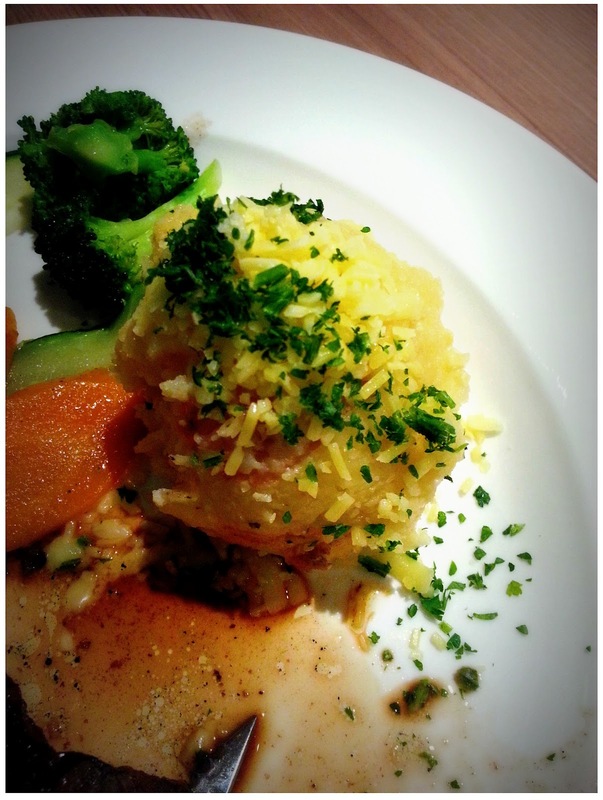 T_T Then it turns out le bf's side dishes are mashed potatoes and fresh vege, where is the baked potato!!! We told the lady our side dishes are wrong, after she return from checking she say baked potato is out of stock, I was thinking: At least you can ask us what we want before you simply decide our side dish for us!!! 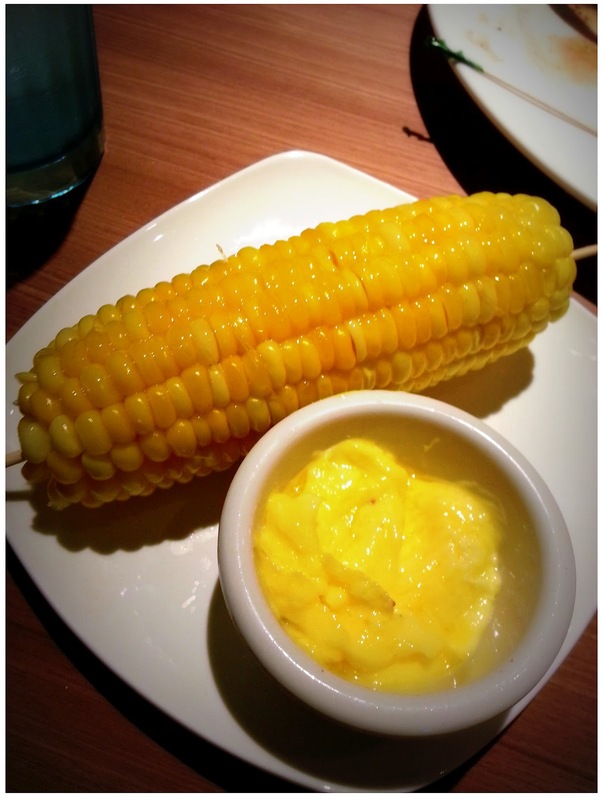 Le bf opted for corn on cob then. 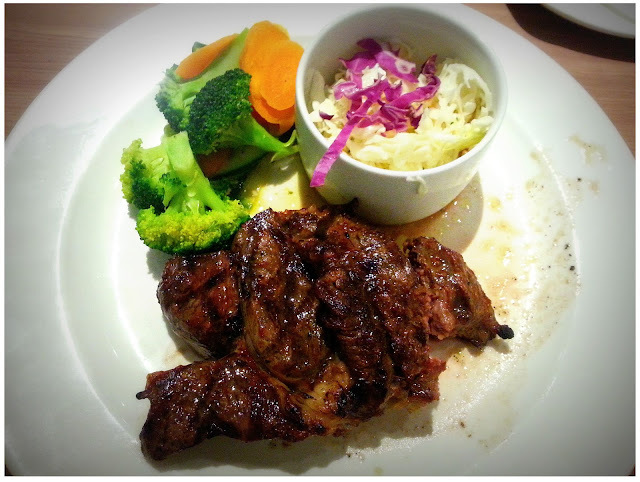 Seriously, I had pretty tough time to finish my portion of steak as it's not juicy nor tender, I chewed until my jaw also going to drop, but still haven't finish, ended up swapping few pieces with le bf as his has less fats, more lean meat and easier to chew than mine. Gosh, I wanted medium cooked steak so I can chew less. There are so, so many fats that I don't bother to chew anymore and place it aside, ended up I ate less than 7oz of steak (the steak is originally 10oz). I like their mashed potatoes, very flavorful! Probably one of the nicer food in this restaurant. Everything is wrong upon the first day of its opening. 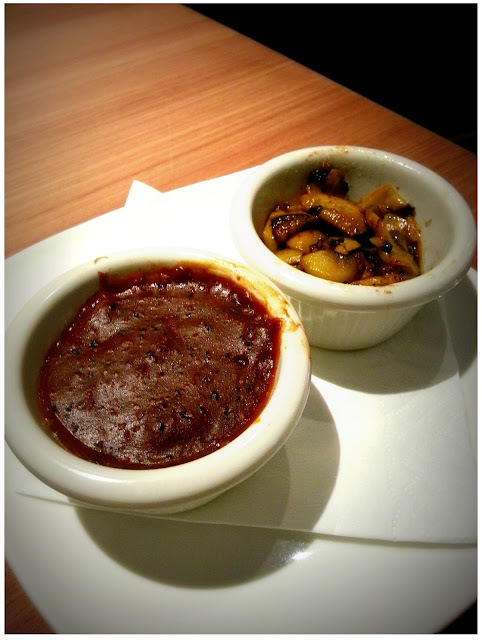 Even the pepper sauce we ordered purposely to go with our steaks gone sour, and aircond not functioning after 10p.m. (as we got there a bit late, there are still few tables of customers around but no aircond already). We thought people will give their best service and food on the first day, but I guessed we're wrong. The owner(I think) walked up to us and asked us how's the meal, I told him everything, but the only thing he said is: We have to give some time to their cook as they are still adapting (first day) adjusting their cooking and each every person definition of how the steak taste are quite distinctive, so it's quite hard to know if it's well cooked or medium cooked. No! No! No!!! You don't treat your customers like white rats and present them foods that your cooks are still adapting in their cooking skill, it is just plain wrong. Your cooks are supposedly to be well trained! Customer pay and they should get good food as they're promised they deserve to. Sigh, the originally happy thoughts of "there's finally a steakhouse near where I lived I can have steaks-fixed easily" turns out to be a nightmare. Probably one of the worst steak I ever had. hi, was the owner guy a big fat chinese man? what nerve he has to answer you like that! how unprofessional! Thanks so much for giving us a heads up so that we can avoid places like there & stick to the more established brands. If they want to be taken seriously, they really have to change their mindset. how dare the owner use the excuse of training. it just reflects the lack of management & how much (or in this case how little) they value paying customers! u should put a comment on their FB page!